Jordan Dunne is a 24-year-old actor/singer from Perth with a colourful collection of weird and wonderful projects under her belt. While she is a recurring face at FRINGE WORLD, Am I Doing It?? 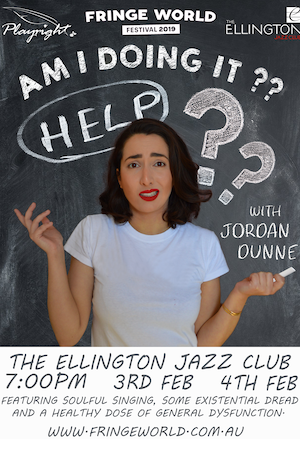 is her first solo endeavour, hitting The Ellington Jazz Club on Sunday, February 3 and Monday, February 4 (get more info and tickets here). The show is all about the tough, and often hilarious, challenges we face doing our best to be this elusive thing called ‘grown-up’. BRAYDEN EDWARDS spoke to Dunne to discuss everything from sexual attraction to Simba from The Lion King, living off cup noodles, finding solace in piles of warm laundry, and other signs you don’t exactly know how to “adult” yet. 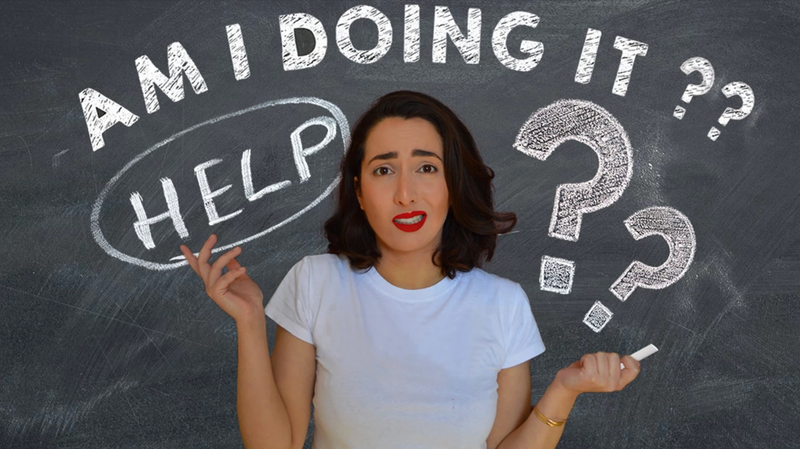 How do you know if you’re doing “it” or not? What is “it” that you, or all of us I suppose, are trying to do? This is less a show and more a fact-finding mission to answer these questions. Is it just me or are there lots of 20-somethings that are feeling directionless, confused and unable to process external validation in any other forms other than Facebook likes? There are boxes, I am told, that need to be checked in order to be “doing it” successfully. By which I mean life, adulthood, existence. A well-paying, stable job with career advancement opportunities, long term relationships and owning a house seem to be key aspects as well. These things just seem so unattainable sometimes and that causes a lot of blank staring into the void of existential dread when I should be working. And conversely, how can you at least know you’re not doing ‘adulthood’ right? Are there some telltale signs? • Why are you sad all the time? • What is the furthest thing from toilet paper you’ve ever used as a replacement? For me it was a Hungry Jack’s napkin. • How do you think being sexually attracted to Simba from The Lion King affects your dating life now? • How many days have you managed to stretch a single cup of instant noodles? • How do I register an ABN? That wasn’t a joke, that was just a question. I’ll talk to you after. • How many times a week would you say that you lie under a pile of warm laundry to feel loved? • How long have you been afflicted with 20-something? Follow up: During that time how many older people have told you that “these are the best years of your life?” Hmm that’s what I thought. Yes apparently it does get worse. And what was it that made you feel this was something you wanted to do a show about? A lot of people around me are moving onward and upward with their lives, getting closer to achieving those adulthood staples that I mentioned earlier. Maybe it was that I wanted to know that I wasn’t alone in feeling a bit lost and confused, maybe I wanted other people to know they weren’t alone because they would relate to the content. And what role does the music play in the show, or maybe in life more generally? Music comes out of me whether I mean it to or not so I don’t think it ever crossed my mind to do a solo show where I don’t sing. That wouldn’t be an accurate representation of my life, I sing all the time. In the kitchen, the street and the old faithful, my shower. I also really loved the idea of doing familiar songs with a comedic lyrical twist, making a classic into something that is about me and you specifically. What kind of people do you think will enjoy this show, those who maybe relate to some of the challenges you are bringing up? Honestly, I believe there are many ways this show can be enjoyed. If you are similarly adrift, then some of my anecdotes about general dysfunction may tweak some recognition in you. Otherwise it could be an entertaining account of an experience so different to yours that you’re laughing at me rather than with me; a perfectly understandable reaction. If you’ve been doing it successfully for many years then please do come along because I definitely need the advice. A pat on the head and a story about “when I was your age” wouldn’t go astray either.